With a metro population of over 5 million people, Dubai is one of the premier destination hubs in the Middle East and the largest city in the United Arab Emirates. Attracting tourist from around the world the city is home to modern construction projects, sports, shopping, and other modern works of impressive architecture. A truly global city Dubai attracts visitors from all over the world and its strong tourism industry has become one of the economic drivers of the UAE. However, Dubai is more than just its busy streets and many businesses. The nearby desert offers adventures and outings that are as striking as anything in the city. 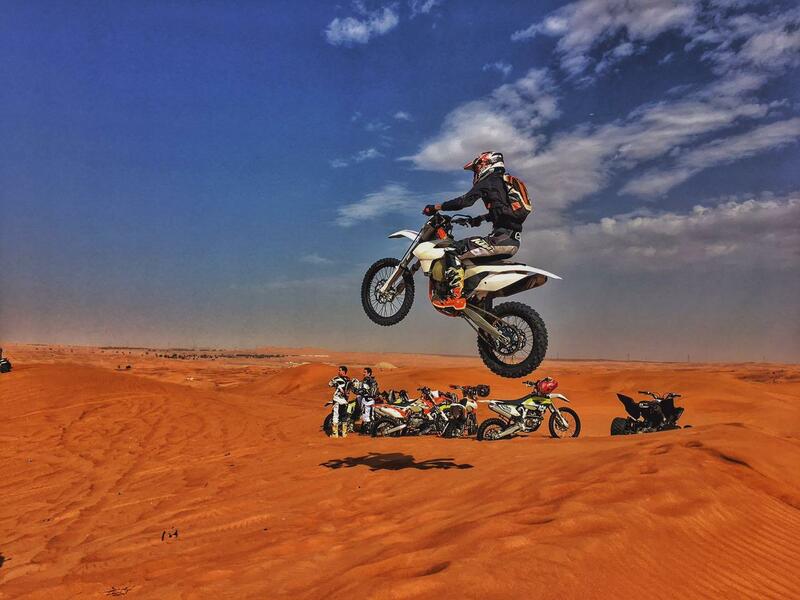 You can rent a motorcycle in Dubai, ride horses, tour the desert and more. A desert doesn’t sound like the traditional idea of a good time but there’s a lot more to do than you may think. The deserts around Dubai offer a lot more than just sand and are a tourist attraction in their own right. From motorcycle rentals to camel rides there’s plenty to do when you leave the city proper. Several different tour companies run various desert outdoor activities with groups ranging from small to large. No matter how you’re looking to experience the desert there will be various options to fit your needs. Here are some of the outdoor activities you can enjoy. Motorcycle Rentals: when you rent a motorcycle the desert is the perfect place to take it for a ride. 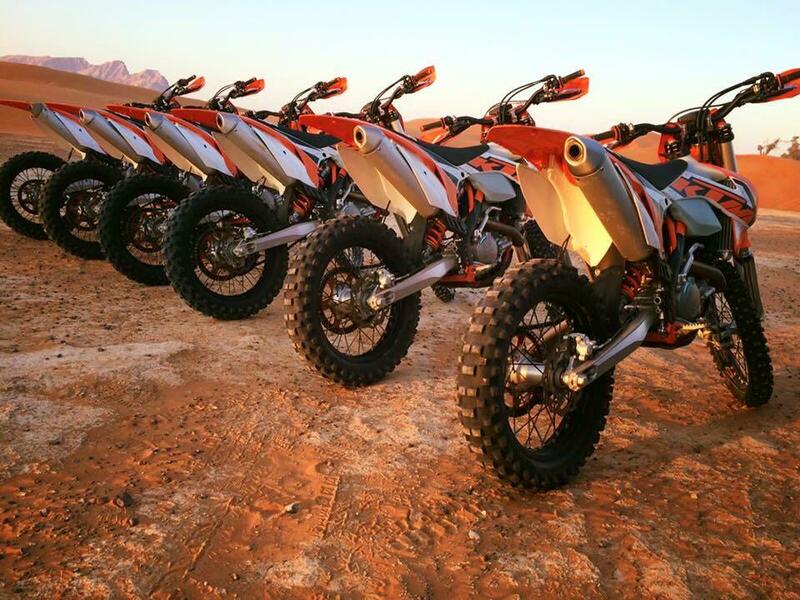 Motorcycle rentals are just one of several different offroad vehicle rental services offered in Dubai. Desert biking is more of the motocross variety and is quite a bit different than the type of city motorcycle riding you may be used to. It’s a thrilling adventure and there are several different tours, tracks, locations, and skill levels to choose from. Quad Bikes: the quad bike (or 4 wheeler) is another option for desert tours. Much like a motorcycle rental quad bikes have a set timeframe, tour location, and you have a professional to help guide you and offer advice. Sand Boarding: if you’re a fan of snowboarding or skateboards this could be the outdoor adventure you’re looking for. As the name suggests sandboarding is much like snowboarding but on sand instead of snow. Simply get a sandboard, look for a good hill, and slide down it. Dune Buggy Rentals: dune buggies allow for a bit more of rustic desert riding adventure. 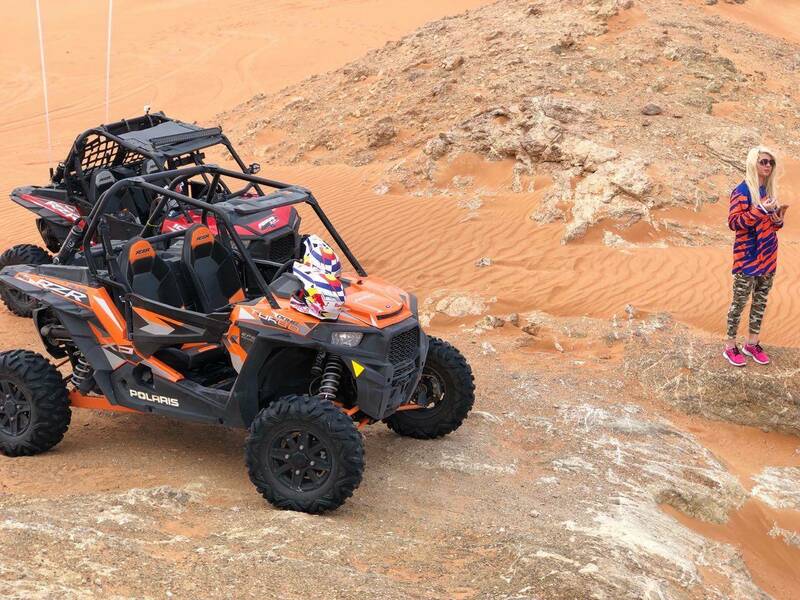 Less constrained than a bike a dune buggy is designed for more offroading adventuring. However, it’s still entirely possible to get stuck but that is part of the fun. Luckily there are several companies offering tours that let you learn and go at your own pace if you’re unfamiliar with dune buggy operation. A Tour Of The Dubai Desert Conservation Reserve: if you’re looking for an all-day event with plenty to see this tour is one to keep in mind. A seven-hour tour in an open top Land Rover with a driver lets you take in the sites of the desert and the local wildlife. After seeing the wildlife you’ll visit a traditional Bedouin style camp to enjoy traditional bread and coffee making, a falconry display, and a full evening meal. A Desert Walk And Campout: sometimes the best trips are taken on foot where you can move at your own pace. Many touring companies offer on foot tours with a skilled guide where you can enjoy the sites on foot. Many also offer night vision goggles and black lights for viewing the nocturnal wildlife. Some tours also including camping overnight on a pre-ready campground. A Camel Tour: camels have long been a traditional mode of transportation in deserts going back centuries. Several local tour companies in Dubai offer guided camel rides across the desert. These tours generally drive you out of the city to a local camel farm where you then enjoy a brief ride across a scenic part of the local desert. If you’ve ridden a camel don’t worry as such tours have guides lead the camel for you and all you have to do is sit back and enjoy the experience. Falconry Shows: falconry has long been a part of the wider culture of the Middle East. Falconry shows allow you a unique opportunity to interact more directly with the local wildlife. In addition to showing training and hunting techniques, many of these shows teach you how to fly a falcon yourself. Horseback Riding: the Arabian horse is one of the area’s most well-known animals. These horses have been a part of trade transportation in caravans, travel, and even warfare for centuries in the Middle East. Fetching high prices worldwide they are known as excellent racehorses. If you’re an experienced rider morning horseback rides are an activity to consider. Cultural Tours: many tour companies offer combined activities where you spend the day learning about local customs, seeing the area, and enjoying a good meal. Here is just one such example. This tour combines a camel ride, cultural education, live entertainment and a BBQ into a memorable all-day event. A Hot Air Balloon Ride: lastly, sometimes the best way to a view of the true beauty of the desert is to absorb it from above. A hot air balloon tour will take you 4,000 feet into the air giving you a glance at the true scoop of the desert and its terrain. Different tours offer different amenities some will even include trained falcons as a part of the tour increasing the overall atmosphere a creating a truly memorable event. 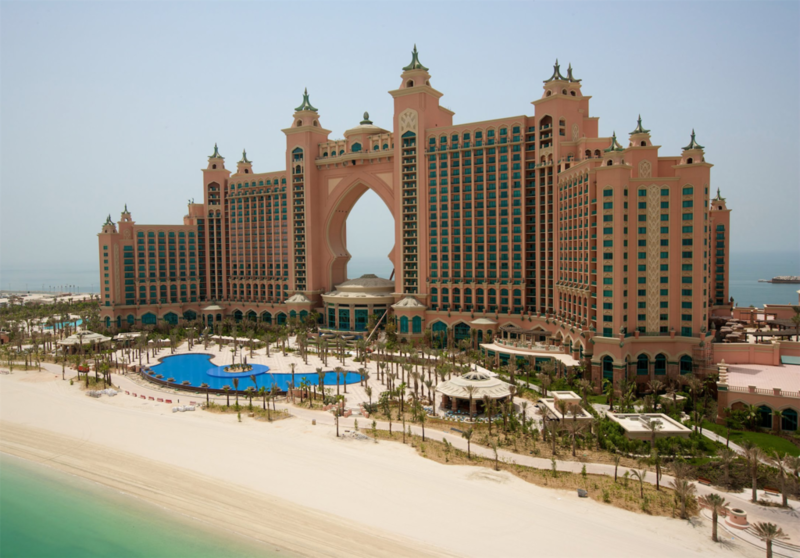 Dubai offers a lot of sights to see for visitors. The city itself is home to food, shopping, historical sites, sports, and more. However, the local dessert should not be overlooked because the great outdoors offers plenty to do when you want to escape the city traffic. Motorcycle rentals, camel rides. Hot air balloons and more are just some of the activities you can enjoy. If you’re open-minded there’s a whole world of adventure outside of the city for you to discover.